easy to use OpenPGP encryption for Outlook Send secure e-mails from Outlook with this easy-to-use e-mail encryption add-in. 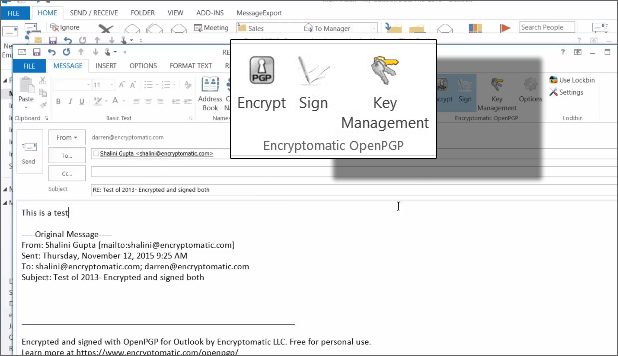 If you have been struggling to get OpenPGP email encryption to work in Outlook, then this software is for you! Looking for more choices? There are 17 more downloads in our Encryption Tools (Shareware) category.